Databases drive almost every application that powers any enterprise business process. Historically, enterprise databases have resided on slow, expensive disk-based storage, burning energy in the data center and bogging down IT operations. Developers, testing teams, and business analysts can wait for days or weeks to receive copies with the data they need. Flash storage promises to fix many of these problems. Flash-based databases run faster, use less power, and are more flexible as architecture needs change. But organizations have been unable to run most of their databases on flash due to cost concerns. 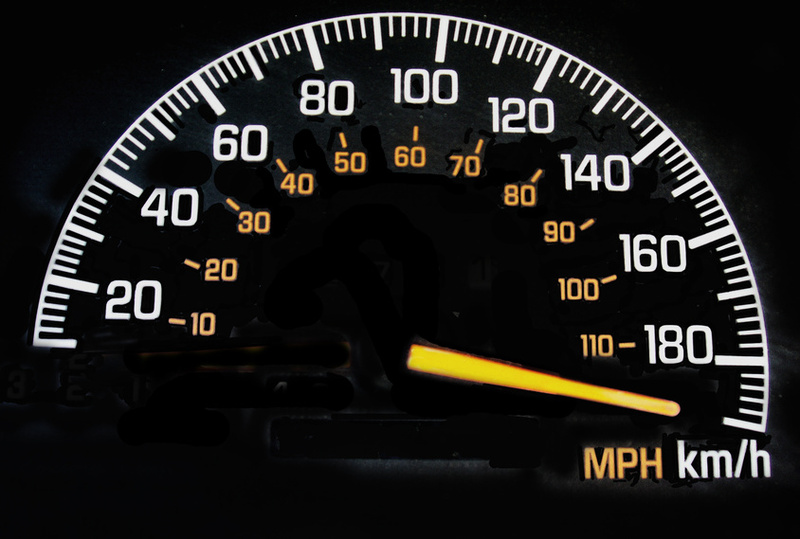 Pure Storage and Delphix bring the speed of flash and the power of virtualization to one of the most important components of the enterprise: the database. Delphix and Pure Storage deliver virtual flash database copies that transform the way application and analytics projects operate. The combination enables customers to create multi-terabyte database copies on demand, to refresh or rewind these copies in minutes, and to link individual versions of databases to code builds with almost no effort or cost. Delphix and Pure Storage recently benchmarked the performance of the combined all— flash solution, comparing to running databases on ordinary enterprise spinning disk. The test simulated an example from a leading e-commerce company, where the firm makes between 25 and 30 copies of its products database for development and test purposes. The traditional option, a disk array storing physical copies of the database files, consumes 1 TB per copy and completes 35,000 transactions per minute (TPM), maxing out the disk array’s capabilities. 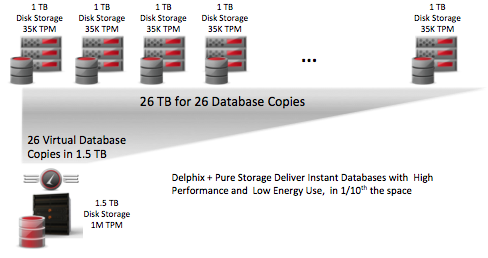 Each copy requires a full duplicate: an additional 1TB of storage with enough performance to service 35,000 TPM. In total, supporting the 26 copies required by the customer requires over 26 TB of storage, and the associated number of disks, to achieve 910,000 TPM (26 X 35K), at a cost of approximately $2 Million.